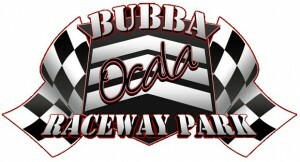 Ocala, FL — (March 23, 2013) — Matt Kurtz won the Bubba Army Sprint Car feature Saturday night at Bubba Raceway Park. Sport Allen, Terry Witherspoon, Dennis Misursca, and Mike Tharp rounded out the top five. Feature Results: 1. Matt Kurtz, 2. Sport Allen, 3. Terry Witherspoon, 4. Dennis Misuraca, 5. Mike Tharp, 6. Bob Auld, 7. A.J. Maddox, 8. Mark Broughman, 9. Greg Leonard, 10. Robbie Smith, 11. Andy Cobb, 12. Shawn Cornell, 13. Brandon Grubaugh, 14. Danny Martin, Jr.